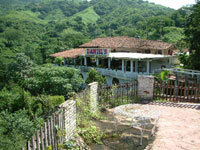 This is a great tour to the foothills of the Sierra Madre mountains, where the scenery is spectacular. 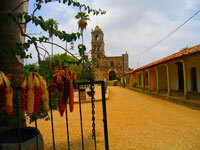 On the way to the small, picturesque town of Copala, you'll visit the colonial villages of Malpica and Concordia. An excellent way to explore the outskirts of Mazatlan and experience the mountain villages of Sinaloa state. Visit the village of Malpica, where you'll watch natives hand-making colorful floor tiles and enjoy a delicious piece of bread made locally in a rustic kiln! Stop at the colonial town of Concordia, founded in 1565, where you will see some of the most beautiful furniture in the world hand made by locals, as well as local villagers making pottery, and roof tiles! Embark on a walking tour of the cobblestone streets of Copala, where you'll admire colorful red roof tiles covered with buganvilias and other typical flowers of the region! Cruise Passengers: Yes! This tour makes a great shore excursion. Cruise ship pier transportation is included! Don't Forget: Camera, Extra Money for Shopping or Drinks at the Restaurant.